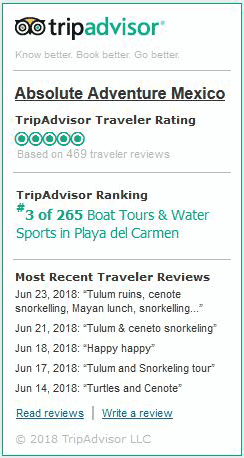 Cenote Taak Bi Ha (hidden route of water in maya) is the best cenote to start to fall in love with snorkeling in caves and perhaps in a future scuba-diving in these amazing formations of limestone. 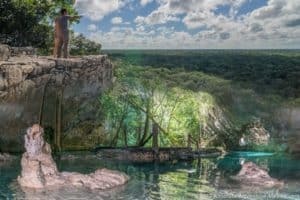 Cenotes are holes of fresh water in the jungle. 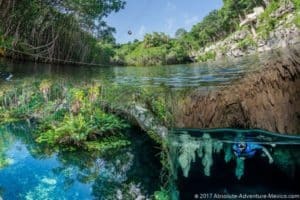 There are different types of cenotes: open-cenotes, and cave-cenotes. This classification is related with the age of the cenote. The oldest ones are the ones who are completely open and the youngest one are the one who still preserve the dome of limestone. Cenote Taak Bi Ha is one of the cave ones, with a small entrance leading to a huge room, large dome with a lot of beautiful formations of stalactites and stalagmites. 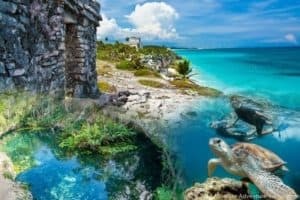 Special for: Stalactites and stalagmites, bats, trees, birds, perfect for first experience in a cenote and non-experienced snorkelers. 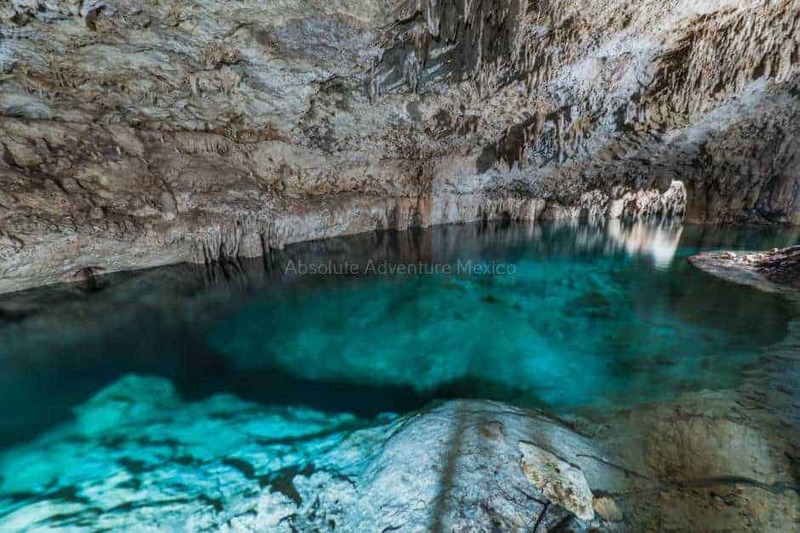 Type of Cenote: Cave Cenote. 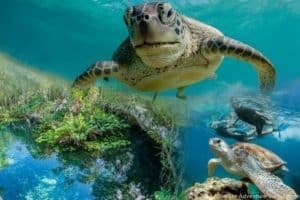 Snorkeling in cenotes is a unique experience. At the same time the view of the cave is a pleasure for your eyes, and for sure you will get relaxed in that peaceful environment! Find the perfect tour for your holidays!